Classic example which served in the Thirty Years War and commonly called a Walloon which term is applied to variations of this form. 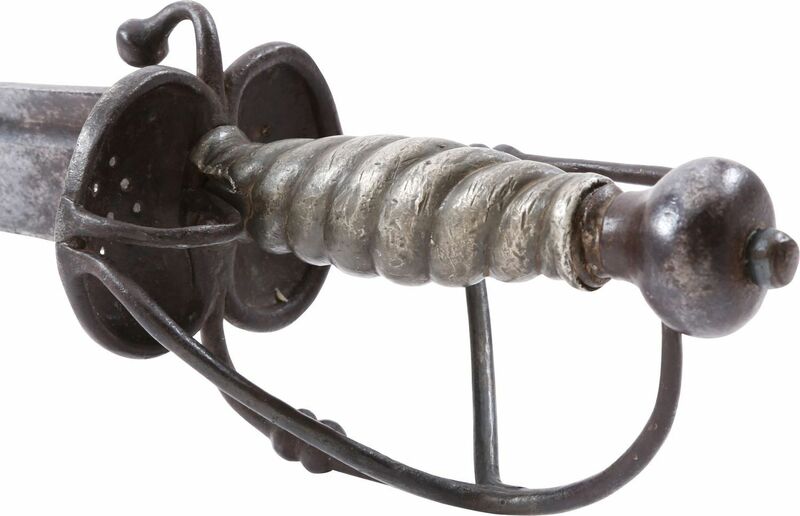 Iron hilt with double side guards with their original pierced plates. 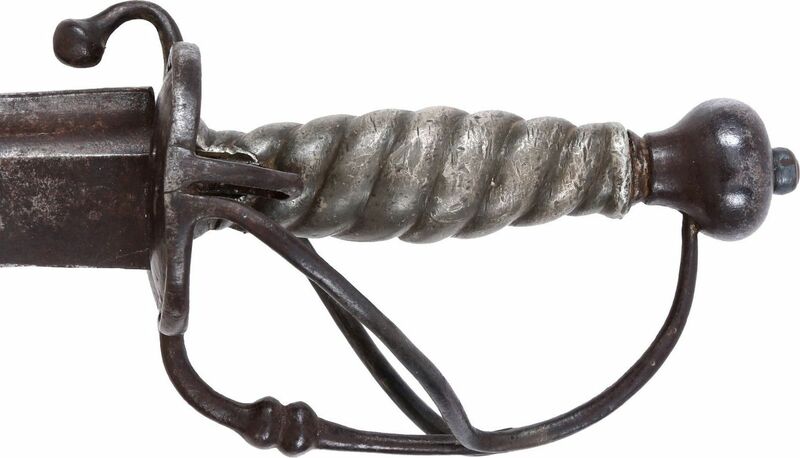 Double guards to the pommel with scroll bars connecting them. Thumb ring to the left side. A curious variation with spirally fluted tin or pewter grip. That variation known to us by but one other example which we sold about 40 years ago, and completely original. 24” curved narrow fullered blade with foliage and flower decoration, typical Low Country motifs. 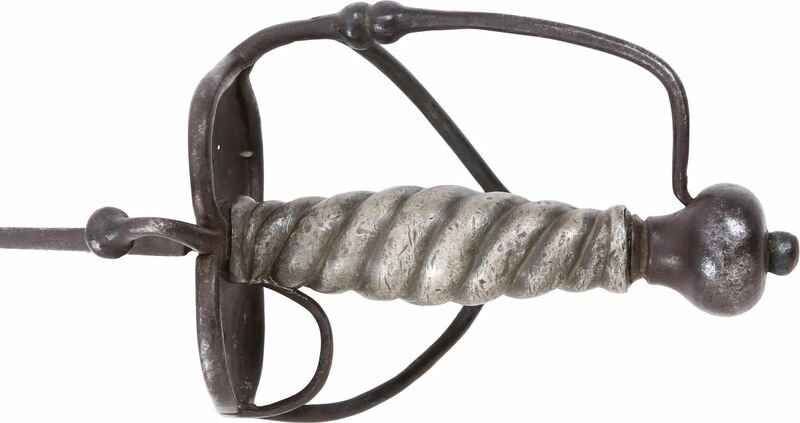 These were made in various lengths including long bladed examples for mounted use and shorter, as here for use on foot, meeting the demands of close quarter fighting.